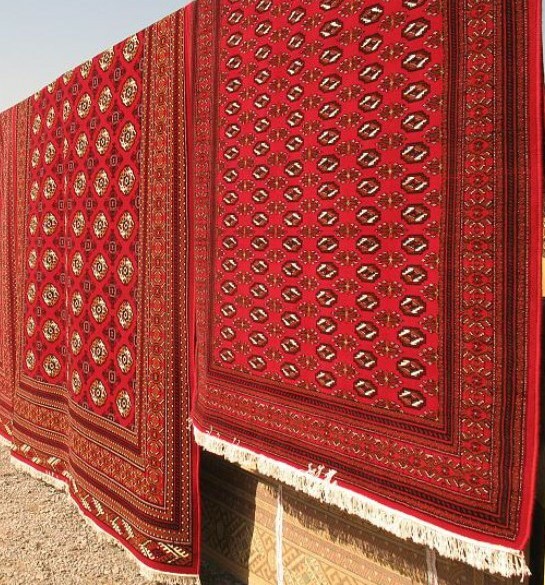 Widely scattered among the Turkmenistan region in Central Asia, the Beshir nomadic tribes have become well-known for their contributions to the Oriental rug market. This has not only translated into the artistry evident in their manufacture, but in the sheer numbers being produced for export to other countries. In fact, by the end of the 20th century, weavers had built themselves into one of the more vital sectors of the Turkmenistan economy, the art receiving its own national holiday in 1992. “Turkmen Carpet Day”, celebrated on the last Sunday in May, honors those engaged in the practice of rug weaving and pays homage to a history that has spanned many centuries. Turkmenistan, once known as Turkmenia, lies between the borders of Kazakhstan to the northwest, Uzbekistan to the east, Afghanistan to the southeast, Iran to the southwest and the inland Caspian Sea to its west. In the medieval period, the area held one of the greatest cities in the Islamic world, later being annexed by the Russian Empire in 1881. Today, Turkmenistan is principally independent, relying heavily on its export of large natural gas resources and the highly sought after crafts that include the hand-woven Beshir rug. 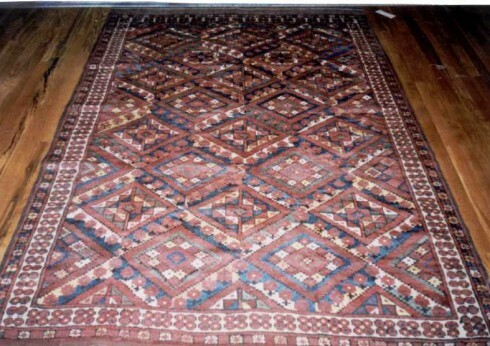 As a result of their nomadic culture, Beshir carpets and rugs were primarily constructed on smaller looms that could be carried during long periods of travel. Recently, however, this has changed to some degree, though the practice is still being performed in the villages that surround many of the Turkmenistan city centers. Yet, because of the Beshir rug’s popularity, large workshops have begun to appear in many cities to meet supply demands, resulting in a range of quality that is apparent to collectors and appreciators of the craft. 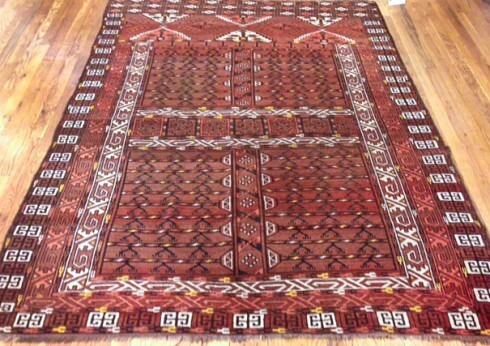 Rugs produced by the Beshir nomadic tribes are commonly obtained from materials provided by neighboring sheep herders and farmers, offering both wool and vegetable dyes for the creation of their stunning rug artistry. 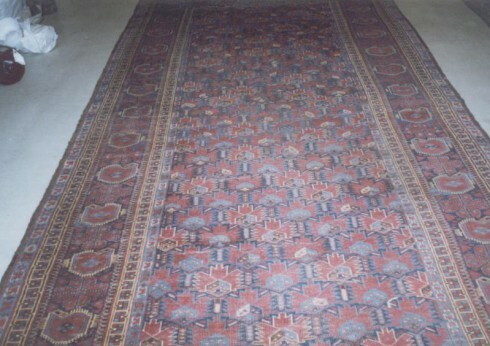 Despite irregularities that exist in some Beshir rugs as a result of wool and dye variations from suppliers, these have been often considered an important element of their appeal. Differing from other Turkoman tribes, Beshir rugs manifest a distinctive method to their weaving style, utilizing less of the geometric designs common in the Persian rug market. They typically feature a tightly-knotted and longer pile than other carpets built atop a wool foundation that can sometimes contain goat’s hair during manufacture. Design-wise, the Beshir carpet has stepped away from the use of tribal medallions and emblems, more often containing natural motifs that include the use of flowers, leaves, vines and the surrounding animal life. The palettes are not as varied as other Oriental rugs, yet contain many of the bolder, raw colors adored by collectors. Dark, yet vibrant reds and blues are a hallmark of the Beshir rug, alongside the use of deep greens, bright yellows and tawny browns that offset the more intrepid shades. These color attributions, delicately woven into the complex designs of the Beshir rug, have made it a highly prized piece for collectors.